This Way Up Labels - Great Prices - Buy Directly Online! 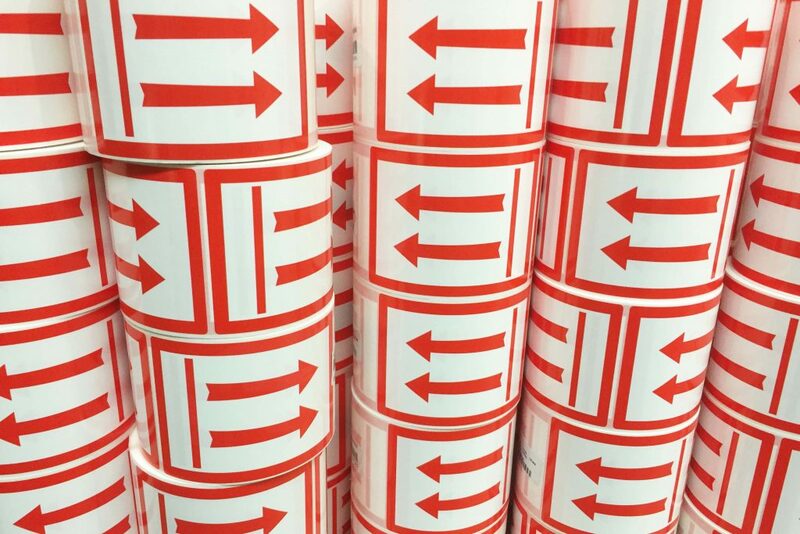 This Way Up labels available from Stock-Xpress. This Way Up labels are a type of handling and shipping instruction label that appear in the dangerous goods regulations for road (ADR), sea (IMDG) and air (IATA). This way up labels are designed to protect your packages from being mishandled during transit and to keep your goods upright to prevent them from breaking or falling out. This Way Up labels must be used on combination packagings and overpacks that contain liquid dangerous goods when being transported by air, ground, or sea. The labels must be rectangular and ‘of a size that is clearly visible commensurate with the size of the package’. 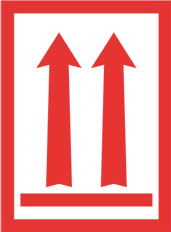 The label must show two arrows (in either black or red) on a white or suitable contrasting background with a line underneath them to indicate the base or floor. The rectangular line border around the label is optional and the words DANGEROUS GOODS may also be inserted on the label below the line. The words ‘this way up’ or ‘this end up’ may also be displayed on the outer packaging or overpack. 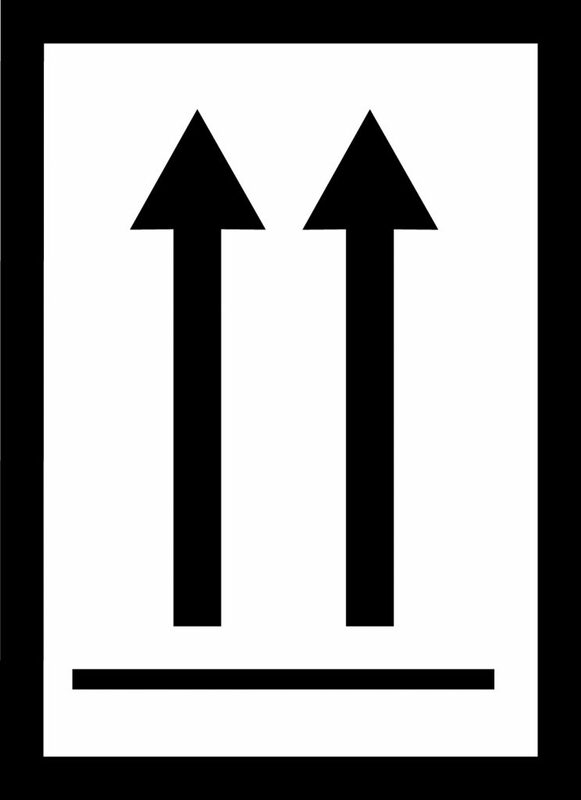 The orientation arrow labels must be displayed on two opposite vertical sides of the package with the arrows pointing in the correct, upright direction. All of our handling & shipping labels are manufactured to the same high specification as our warning diamonds and comply with national and international legislation. Supplied in either black or red, labels are a standard size of 74x105mm, but we can also supply labels at 100x150mm – Call us on 0113 203 1942 for details.